Teresa practices occupational therapy at UW Health. 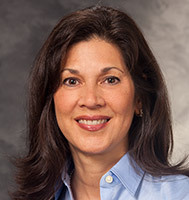 She specializes in treatment of patients with hand-to-shoulder orthopedic conditions. She is also a Certified Lymphedema Therapist and a member of the Lymphedema and Venous Edema team. She is a graduate of the Madison College Occupational Therapist Assistant program.